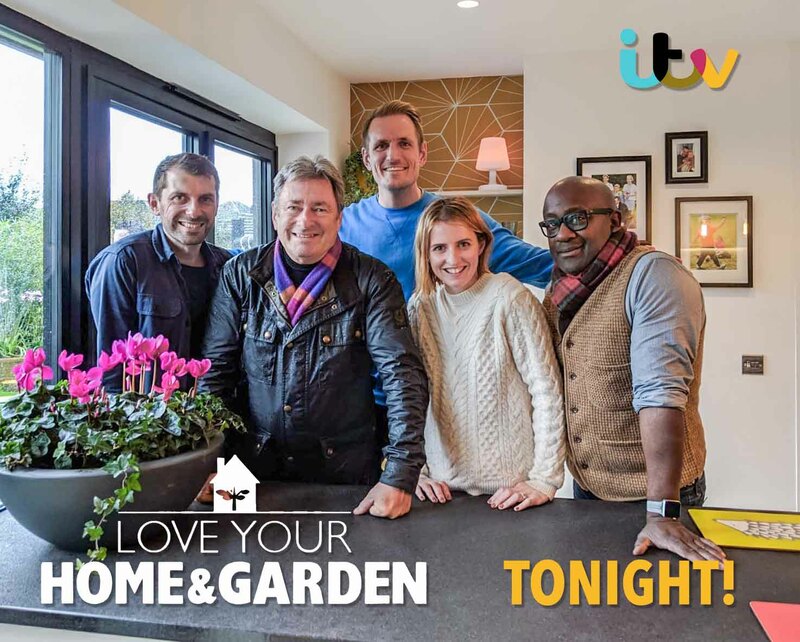 Following the airing of the first two episodes of Season 2 of Love Your Home and Garden at the end of last year – our directors George + Ewald are back on screen tonight on ITV1 to improve the family home of a very deserving family in Swindon. George + Ewald, alongside fellow presenters, Alan Titchmarsh, Katie Rushworth and Kunle Barker transform Nina and Steve’s living spaces to make their home work better for them. With Nina and Steve both wheelchair users, George + Ewald’s reworked the layout of the home for ease of use, accessibility and link to the garden. You can catch Love Your Home and Garden at 8pm tonight on ITV1. You can also read about the making of Episode 3 in George & Ewald’s blog here.